What are jute bags made of? Jute is a natural vegetable fibre made from the outer stem and skin of the jute plant. Also known as 'the golden fibre' due to its shiny golden colour and financial worth, jute is valued for its versatility and wide range of applications. Where does jute come from? The majority of the jute produced worldwide comes from the Bengal Delta Plain in the Ganges delta region of Bangladesh and India. Jute plants need a lot of water to grow, so the high humidity and monsoon climate found here are ideal for successful cultivation of the plant. Jute is so reliant on standing water, in fact, that it requires up to 8 cm of rainfall per week (about 4x as much as the UK) in order to achieve optimal growth. The most common use for jute fibre is in the production of jute fabric and a number of other fabrics, including hessian, scrim and canvas. These fabrics can be found in clothing, upholstery and soft furnishings, packaging of many kinds and geotextiles (for landscape reinforcement, landfill covering etc). Jute and its byproducts have uses that are almost too numerous to mention, but notable ones are its inclusion in medicine, cosmetics and paints. Did you know jute can also be eaten? Its leaves are a popular cooking ingredient in parts of Africa and the Philippines and, apparently, taste a bit like spinach! How is jute made into fabric? The jute fibre comes from the stem and ribbon (outer skin) of the jute plant. The fibres are first extracted by a process called retting. Retting consists of bundling stems together and immersing them in slow running water. After retting, the non-fibrous material is scraped off and workers pull the crucial fibres from the jute stem. This laborious job is known as stripping and has to be done by hand. As far as eco-friendly fibres go, jute is a real star performer. And when it comes to bags, there is no better choice for the environmentally conscious consumer. But why is jute so green? Why is jute eco friendly? Jute reaches maturity in under 6 months and offers large crop yield for the area of land its grown upon. This efficiency of growth means less land is required compared to other crops and therefore reduces the need to encroach upon wilderness and natural habitats. The woody core of the jute plant (called hurd) has the potential to meet the majority of the world's wood needs. Underutilised at the moment, jute hurd has the potential to have a huge positive impact on the reduction of deforestation. 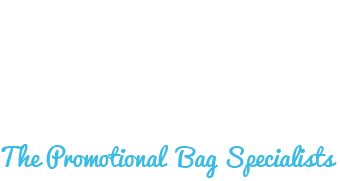 Jute bags printed with your logo are the perfect promotional tool. Sturdy and affordable, a promotional jute bag will be used again and again by its recipient, resulting in maximum return on investment on your advertising spend. With their innumerable eco-friendly qualities, jute bags offer you a way to promote your business responsibly and broadcast this to all who see your bags. Here are a few of our favourite jute bags to whet your appetite.